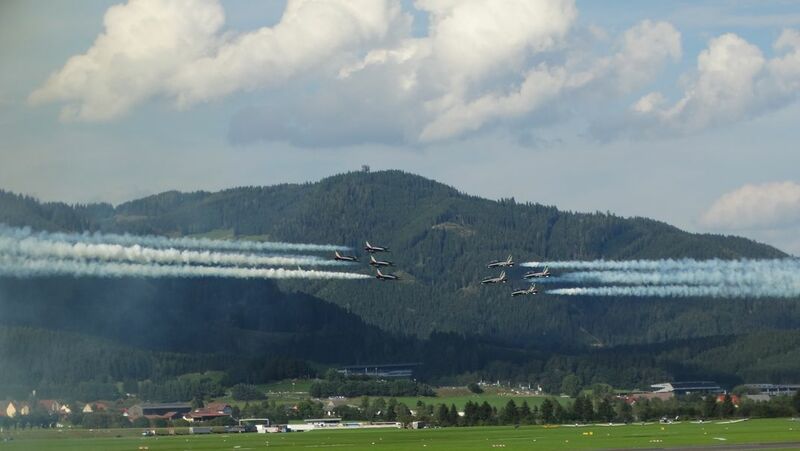 On the Airpower 2016 Show in Zeltweg, Austria, the Italian Air Forces' Frecce Tricolori ("three-colored arrows") exhibit a fly-through maneuver where the jets appear to fly into each other and have to fly extremely precisely to avoid hitting each other. The minimal distance between the planes is less than 10 feet! Date Uploaded: Oct. 22, 2016, 11:38 a.m.